By Robin Wauters , May 4th, 2016. A great little bootstrapping story: Kaunas, Lithuania-based kids’ app publisher TutoTOONS, has reached 100 million game downloads (of its 200+ games) in less than 3 years after its founding. 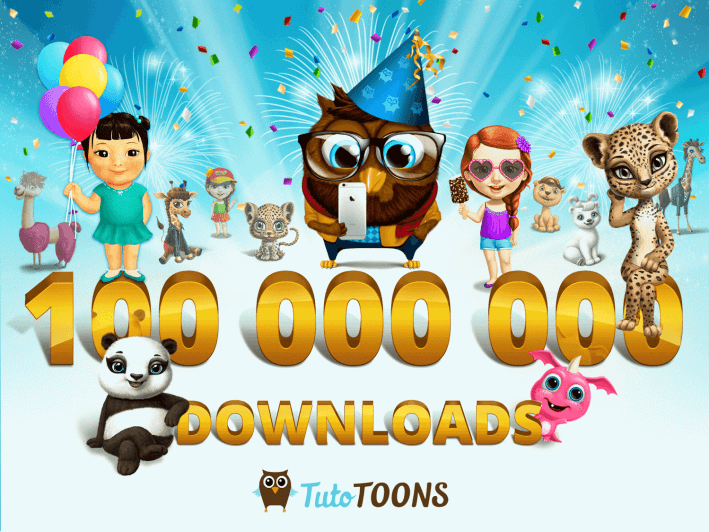 With offices in Lithuania and Spain, TutoTOONS has raised not a single cent in funding from investors. 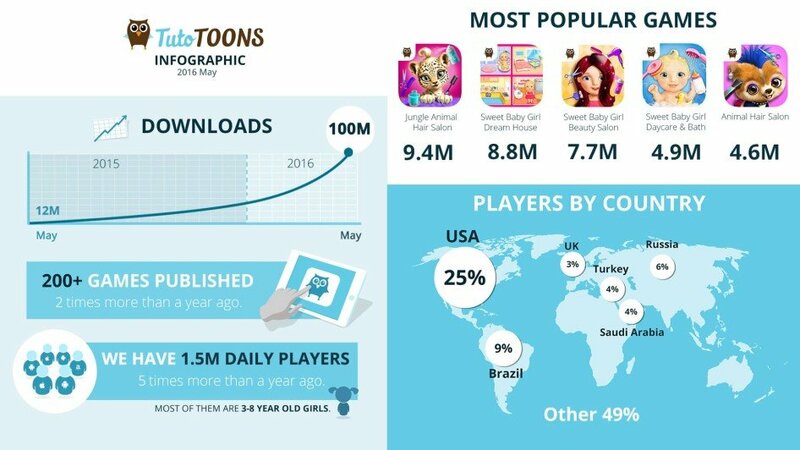 Played by 1.5 million kids (mostly pre-teen girls) daily, TutoTOONS says its games take a different approach in kids’ education and combine girls’ favourite casual games like character makeover with the learning of self-expression, personal care, good daily habits and more. The company pumps out about 2 new games every week, but also provides thousands of third parties (artists and other creatives) with its game-building platform. Interesting startup to watch, particularly given the recent acquisition of Sweden’s Toca Boca by a publicly-listed toys company.